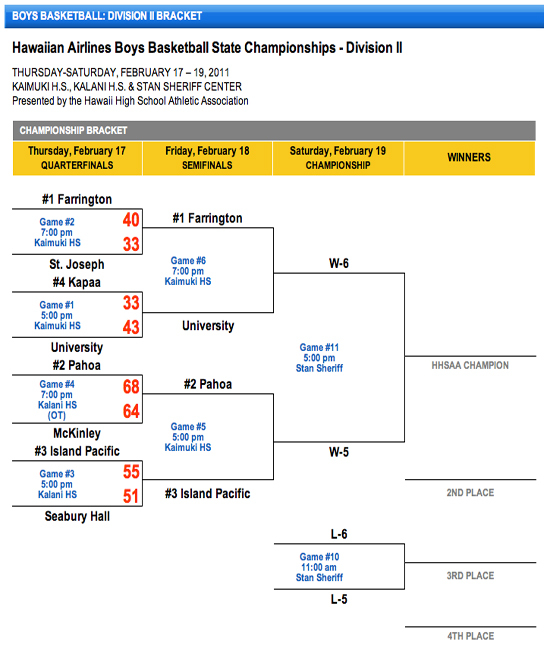 Pahoa, the defending boys basketball state champions, is the only Big Island team still in the race for a 2011 state title. On Thursday, the Division II No. 2 seed Pahoa needed overtime to conquer McKinley, 68-64. No. 3 Island Pacific is up next on Friday. Also in Division II, No. 1 Farrington dumped St. Joseph out of contention, 40-33. St. Joseph now gets McKinley for a shot at fifth in state. In Division I, No. 3 Kamehameha Schools Hawaii lost to rival Kamehameha Schools Kapalama, 80-51 and now take on Moanalua for a chance for fifth in state. Hilo suffered a second straight defeat. 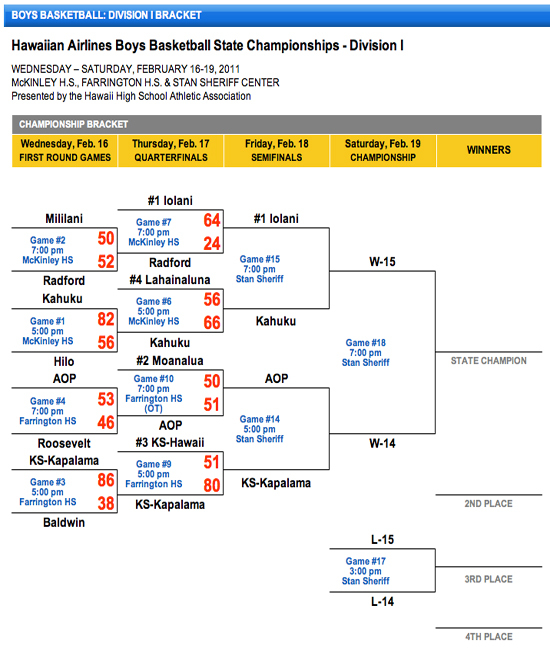 This time it was 63-55 to Mililani.